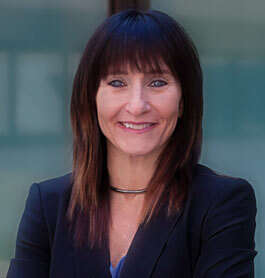 Jacqueline S. Jacobson is a former Senior Enforcement Attorney at the United States Securities and Exchange Commission’s Midwest Regional Office. She joined Monico & Spevack in 1996 and has more than 15 years of criminal and civil litigation experience. Jacqueline focuses her practice on complex white collar litigation, and has represented clients in all phases of state and federal proceedings. As an SEC Senior Enforcement Attorney, Jacqueline investigated and prosecuted complex and high-profile securities fraud cases. In 1995, Jacqueline received the Manuel F. Cohen award for legal excellence, one of the SEC’s highest honors. Jacqueline also served as a staff attorney for the United States Seventh Circuit Court of Appeals, where she wrote significant legal opinions for several of the Court’s judges. At Monico & Spevack, Jacqueline continues her work in the area of securities-related offenses and regulatory enforcement, in addition to other white collar criminal defense matters, including health care fraud, mortgage and banking fraud, public corruption, trade secrets, import/export violations, tax and accounting fraud cases, RICO violations, perjury/false statements, as well as related mail and wire frauds. Jacqueline represents individuals and business executives in all phases of state and federal proceedings, including pre-indictment investigations, grand jury practice, criminal trials, plea negotiations, federal sentencing, and prison placement. Jacqueline has represented individuals in SEC civil enforcement proceedings and criminal securities matters, successfully avoiding SEC and criminal prosecution in insider trading cases involving several high profile individuals. Ms. Jacobson has also represented business executives in federal sentencing proceedings, averting prison time and obtaining favorable sentences, for doctors, lawyers, real estate professionals, and other business executives. Chicago Magazine has named Jacqueline one of Illinois’ Super Lawyers for Criminal Defense: White Collar each year since 2012.